“The S&P 500 Index’s 14 percent return in the period may have helped encourage giving from a variety of donors. Three colleges brought in more than $1 billion each. Seven got single gifts of $100 million or more, the highest number of schools receiving contributions of that magnitude. There is no better way to attract attention than controversy. I wonder whether the endowment tax issue may have also encouraged donors to be more generous last year. 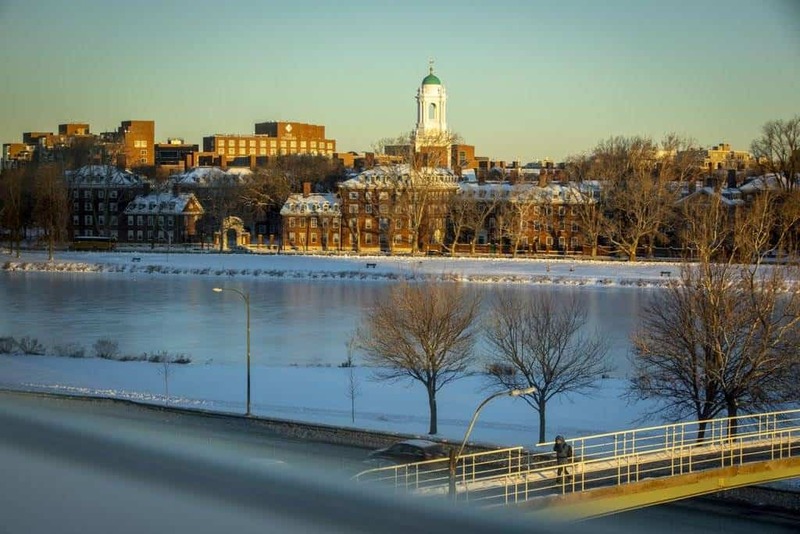 Frozen Charles River at Harvard Campus.